I'd been delighted when I'm given the opportunity to review Four Cow Farm products. In fact I was told by Delphinia from Four Cow Farm that I'm actually the first from Malaysia to review their products. I'm really, really honoured. So what is Four Cow Farm? Four Cow Farm is a real farm nestled in the hills of the Blackhall Range in South-East Queensland. Four Cow Farm was started by a Midwife, Mum & Grandmother who wanted to make creams and balms that were as good and natural as possible for her two little grandchildren (one of whom was born with eczema). Using her own time-tested recipes and traditional ingredients, Nanna’s labour of love began as a gift to her two little ones. Nanna is a former midwife, nutritionist and natural remedies advocate so is very strict and particular about ingredients! It's her recipes and her selection of ingredients that go into the recipes, every single ingredient is food-grade (including preservatives and emulsifiers). So when you open a jar or bottle from Four Cow Farm, what you see is what you get - the colours, textures and fragrances come from our wonderful ingredients themselves, and nothing else. And every product is still made on their family farm, where she personally oversees (and has a hand in most of the making!) herself. Four Cow Farm’s range of products are made right here at the farm, from the finest ingredients from sources and suppliers they know and trust. All their products are made from 100% renewable energy and packaged in 100% recyclable bottles and jars and are 100% biodegradable. And they are animal-lovers ourselves, so no animals are ever harmed in the making and testing of their products. 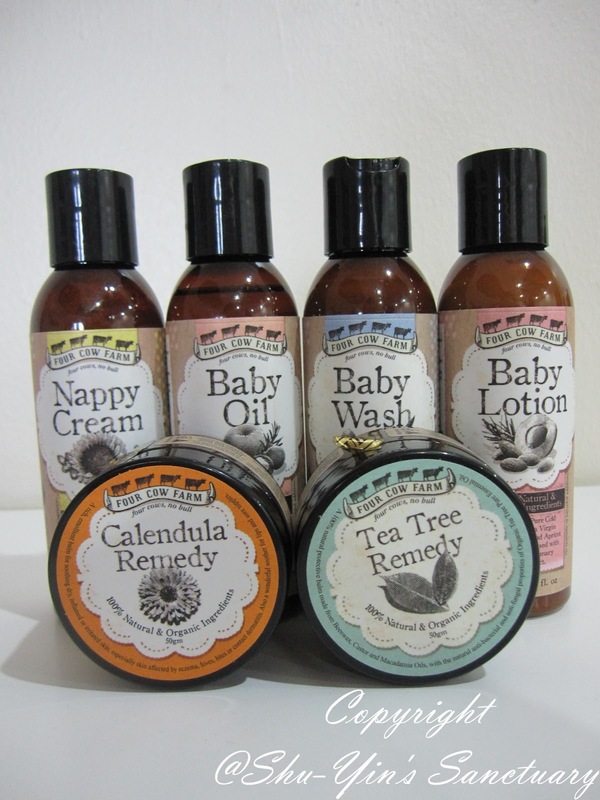 Four Cow Farm Malaysia is so generous to send me the Baby Kit, and also both the Tea Tree Remedy, and the Calendula Remedy for review. The packaging is really nice and pleasing. The pastel colours are soothing and very suitable looking for baby products. Firstly, I will talk about the Four Cow Farm Baby Kit. Purified water, saponified 100% olea europaea (olive) oil, certified organic echinacea augustifolia extract, citric acid (from citrus fruit). This baby wash list of ingredients shout less means more. This 100% Pure Castile Soap Baby Wash is made from Premium Cold-Pressed Extra Virgin Olive Oil – making it one of the gentlest and purest natural washes you can use for baby, or any skin. Not blended with any other oils or substitutes, and free from foaming additives or fragrances, this low-foaming 100% Pure Castile Soap Baby Wash retains all the antioxidants and benefits of its ingredients. Infused with Organic Echinacea Extract which soothes and calms dry and irritated skin, this all-natural wash is perfect for those with sensitive skin or skin prone to dryness and irritation. I find this all-over body wash is very suitable for babies with sensitive skin, dry hair or scalp, or with hives or eczema problems. Although Khye's skin is not overly sensitive, but it is still very nice to bathe him in such a luxurious wash that is so richly soothing and moisturizing. And like all other organic baby wash I've used, it doesn't lather that much. But it does lather a little if you work up with a washcloth before applying. The only complain I have is the smell. It doesn't smell like the normal floral baby scent or fragrant that I am used to. This baby wash smells so...erm...organic. Haha. It smells of olive oil. And the after bath smell is a mild olive oil scent. Ok, so it is not the nicest smelling baby wash around, but I don't care as long as I know this baby wash has the friendliest ingredients I've ever seen! Oh ya, please take note that this is NOT a no-tear formula, so avoid contact with baby's eyes. Purified water, prunus amygdalus dulcis (sweet almond) oil, glycerin, prunus ameniaca (apricot) kernel oil, cetearyl olivate, sorbitan olivate (olive derived emulsifying wax), cetearyl alcohol (veg. fatty alcohol), parfum (natural preservative), rosemarinus officinalis (rosemary) leaf extract, potassium sorbate (natural preservative). The soothing baby lotion is made from Pure Cold Pressed Extra Virgin Sweet Almond and Apricot Kernel Oils, infused with Soothing Rosemary Leaf Extract. The Apricot Kernel Oil is excellent for babies because of its fine, gentle nature and its high Vitamin E content and skin-softening properties, with the calming, anti-inflammatory effects of Sweet Almond Oil, and the additional soothing benefits of Rosemary Leaf Extract. The exquisite blend of ingredients make a lightweight and really smooth lotion and is really easy to apply when I spread it all over Khye. I usually use it after his nightly bath to seal in moisture. It absorbs quickly and leaves no sticky residue. I hate using lotion on my kids which leaves their skin sticky. I kinda like the mild smell of the almond on this lotion. Sometimes I do use it on Shern too, especially when he sees me putting lotion on Khye. It makes both my boys' body moisturized, and prevent them from having dry and chappy skins. Purified water, helianthus annuus (sunflower) seed oil, ricinus communis (castor) seed oil, zinc oxide, lecithin (soy), cetearyl glucoside, cetearyl alcohol (vegetable derived emulsifying wax), parfum (natural preservative), rosemarinus officinalis (rosemary) leaf extract, potassium sorbate (natural preservative). This is perhaps my favourite product in this Baby Kit. After using Nappy Cream from Olive, I'm starting to love cream-based nappy cream instead of ointment-based. Cream-based is so much more easier to apply. I like applying more onto the whole bum area and spreading it onto Khye's bum is so easy. 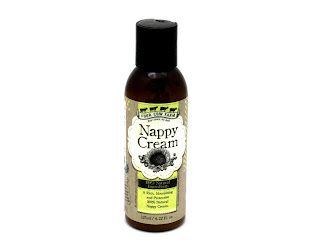 Four Cow Farm Nappy Cream is rich, nourishing and protective 100% natural. But although rich, it is very lightweight and very easy to apply. This Nappy Cream is a soothing barrier cream combining the anti-inflammatory properties of Castor Oil, the moisturising and safeguarding actions of Sunflower Seed Oil, the nourishing, strengthening anti-oxidants benefits of Soy Lecithin and the protective qualities of Zinc Oxide. I use it on every nappy change, to help protect Khye's skin and prevent the occurrence of nappy rash. Just remember to dry baby's skin before use. Prunus amygdalus dulcis (sweet almond) oil, macadamia ternifolia seed oil, prunus ameniaca (apricot) kernel oil, certified organic simmondsia chinensis (jojoba) oil, certified organic chamaemelum anthemis nobile (roman chamomile) essential oil, rosemarinus officinalis (rosemary) leaf extract. Surprisingly, this is the first time I do baby massages for Khye. You know I don't do baby massages usually. But the list of pure ingredients listed is enough to lure me into applying this "luxury" oil onto Khye while doing some mother-and-baby bonding. Khye seems to love it though. And surprisingly Khye did not make noise while I laid him down for a after-bath-body-massage, coz usually as soon as I lay him down for a diaper change, he would fidget and cry. I guess it is a sign for me to do more baby massage with him. This Baby Oil is a luxurious blend of Pure Cold Pressed Apricot Kernel, Macadamia and Sweet Almond Extra Virgin Oils with Calming Organic Chamomile and Soothing Rosemary. Sweet Almond and Apricot Kernel Oils nourish and protect with their essential fatty acids and Vitamins A, D & E whilst Macadamia absorbs to moisturise and restore. Organic Chamomile helps to calm and relieve skin whilst Rosemary Leaf Extract soothes and freshens. See, who can resist the list of ingredients which are doing wonderful stuff to my baby's skin? I also use it as a moisturizer on myself, on my dehydrated legs as usual, and also on my elbows and knees, which the skin are noticeably rougher. The Baby Oil absorbs well into our skins, and is not oily. And surprisingly, the smell is not the olive oil scent. I think it smells a little of the macademia and almond. 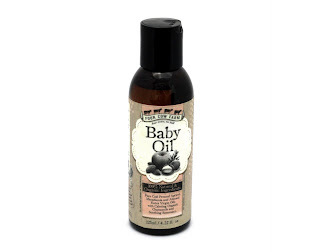 It says that it may be used to soothe dry or irritated skin or skin affected by Cradle Cap. For soothing skin affected by Cradle Cap: Massage gently into baby’s scalp, wait a few minutes, then gently wash off with a baby shampoo or soap. Overall, the Baby Kit is a nice introduction package to the brand Four Cow Farm. Retailing at RM151.90, it contains the four bottles of staple baby skincare products, in which you would be sure to find it useful. It is also the perfect gift for any new mums or any mums out there who wants organic natural skincare for their baby(ies). Next, let's see the Tea Tree Balm and also the Calendula Remedy. This is my favourite product of Four Cow Farm's. Every time there is some redness on Khye's bum, I would apply a thin layer of this balm, and hey presto, it disappeared on the next nappy change! And not only that, I also use this as an emergency balm for minor scrapes and bruises. Khye tends to have some scratches on his fingers. I suspect he accidentally scraped some skin off when he put his fingers in his mouth, because now Khye has 4 teeth already. And this balm heals those scratches well. I also just applied it on Shern as he had some friction burns on his hands after a minor mishap at the playground. He did not complain of sting, so I applied a thin layer on his hands. Besides that, I also use this for mosquito bites as well. Took Shern down the apartment for a scooter ride, and he ended up with 3 big mosquito bites. Applied it on Shern and it seemed to provide relieve. With its many uses, it is clear to see why this is my favourite product. 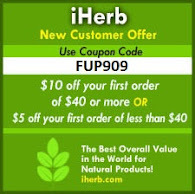 I use this balm not only for my kids, but for the whole family as an emergency balm! I love, love, love the smell too. It smells of tea tree I suppose, but I love it. Certified organic calendula officinalis (calendula) in olea europaea (olive) oil, beeswax, cetearyl alcohol (veg. fatty alcohol), d-alpha tocopheryl acetate (vitamin E non-GMO), certified organic simmondsia chinensis (jojoba) oil, certified organic chamaemelum anthemis nobile (roman chamomile) essential oil, parfum (natural preservative). This is a rich and emollient balm for soothing inflamed or irritated skin. It can be used on skin affected by eczema, hives, bites or contact dermatitis or for calming minor cuts, scrapes or bruises. With known anti-septic and anti-inflammatory properties, Calendula has been used for centuries as an excellent soother for a variety of skin irritations. It is made with 80% Organic Calendula-Infused Olive Oil, with the added beneficial properties of Vitamin E and Organic Roman Chamomile, this balm contains no added fragrances or colourings, retaining Calendula’s rich, natural smell and colour. I keep this Calendula Remedy in the fridge for a more soothing application. I often find small patches of rough skin on Khye, which I don't really know the reason to it. But when I applied this balm onto him, it goes off in a few days. So I am not so worried. In Khye's next appointment with the doctor, I must remember to ask the doctor the reason of the rough skin. This balm can be used on skin affected by eczema, hives, bites or contact dermatitis. It can also be used for soothing minor cuts and scrapes as well. The best thing I like about Four Cow Farm is the ingredients are so pure that they are FOOD GRADE! Every single ingredient. Imagine that. Even if any of it goes inside baby's mouth and into their stomach accidentally, it would pose no harm to the baby. First time I'd encountered a product range where the ingredients are so pure. I'm in awe. Totally awesome! Yes, 3 combo items to be won by 3 people! So now you can win some of these fabulous pure products for your baby, or even for yourself! All you need to do is just Like Shu-Yin's Sactuary's Facebook Page, and also Like Four Cow Farm Malaysia Facebook Page and leave a comment in this blog post and and tell me which products combo you would like to win and why. It is this easy. Please leave an email address for me to contact you. This giveaway is open to anyone with a West Malaysia mailing address. If you don't have one, maybe you would like to win one for a friend or family? Giveaway ends on 21st June 2013 11.59pm Malaysian time. The winner will be announced on 23 June 2013 and will be posted in this post and will be contacted via email. If no reply from the winner within 48 hours, then I will announce for a new winner. More good news! Thanks to Four Cow Farm Malaysia you get 10% off for FIRST PURCHASE storewide, with minimum order of RM150. (Free Delivery for orders above RM120). To purchase, please visit Four Cow Farm Malaysia to view the products. Then please send your orders to ken@goodnessme.biz using the Discount Code 'ShuYin's Sanctuary' to enjoy the discount. This promotion is valid until 30th June 2013. For more info, please visit Four Cow Farm's Malaysia Website, or their Facebook page. Congratulations! The winners should have received an email from me on how to collect their prize(s). * Disclosure: I received the Baby Kit, Tea Tree Balm (50gm) and the Calendula Remedy (50gm) for review purpose, but no monetary incentive was received. All text and opinions are of my own and represents my honest opinion of the product(s). Hi, I'm a first time mum expecting a baby girl in August 2013. I would love to try out the Baby Oil as i believe in massaging my baby so i can have more eye contact and personal touch with her. I would want my Hubby to try out Baby massage too. As daddy may miss out on a lot of the hands-on care of my girl, especially when he is at work and when my baby will be fully breastfed. I hoping that a regular massage with dad can become a routine, perhaps at bedtime, that helps to bring them closer. Thanks! I would love to try the baby oil as my son love messages and the calendula would be great for my mum to try as she's suffering frm eczema. :) thanks for the chance to win. I would like the baby oil to massage my gal and calendula remedy for myself (i am having super dry and sensitive skin on my fingers) and the whole family. Hi Shu-Yin, love your reviews so far. I certainly love baby product from four cow farm because whenever comes to baby, natural and organic would be my first priority and I really love to try this product from Four Cow Farm. I love to try baby lotion and the tea tree remedy. Baby lotion for massaging Caven after bathtime. 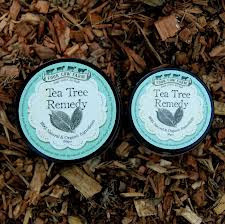 And as tea tree ingredients is well known for their soothing properties, I would love to apply to Caleb and Caven as they always have mosquito bites all over their legs and face especially when they back to my hometown last school holidays. I liked facebook page. Id like to win the baby wash , lotion and balm. I havent tried them but I have 5 grandkids so they will be useful. Also now you have me wondering what they smell like :). 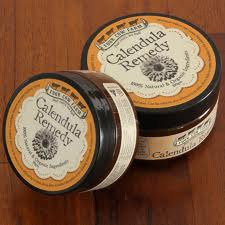 Wanna try the calendula remedy on Audrey since she has Eczema. The baby wash and nappy cream is a prefect gift for my 6 day old nephew. He doesn't have any problems or eczema so the baby wash is perfect for this little angel. Plus the nappy cream will definately come in handy once the rashes appear. I'm a little curious on the baby wash scent but any organic product is definately better than a chemically formulated wash which is too hersh for a newborn.